What about my homeowner’s policy? Homeowners policies don’t (in general) cover your business. Some policies may cover up to $2,500 in business property but they won’t cover you for lawsuits stemming from your business. For example, if a customer sues you because she broke out in a rash after using your soap, you will be personally liable for not only damages awarded in the lawsuit but all the lawyers fees. Those lawyers fees will be yours to pay even if you successfully defend yourself against a lawsuit. A homeowners policy will not cover your lost wages, should the house burn down and you lose all your equipment. A standard business insurance policy will not only replace all your equipment but pay lost wages for the time you are unable to work. Most business insurance policies have a clause that requires them to find suitable temporary work space for your business until you can move into a permanent facility. Those reasons are all great reasons to dump the small (if any) amount of protection your home insurance policy offers and get a full business insurance policy but this is the most important. You are personally liable for any damages incurred in the course of your business. If you lose a small $20,000 lawsuit and have $7,000 in lawyers fees, that’s all you! Even if you do declare bankruptcy, it’s still going to go on your personal credit report. Unless you are incorporated, all losses are absorbed by you (and your personal checking account … or perhaps your house and car if you can’t afford to pay the judgement). A business insurance policy also offers a margin of safety for anybody retailing your products. In fact, many large stores and established craft shows may require proof of insurance. Having business insurance shows professionalism, responsibly and gives the impression that you are serious about your craft (and that you’re in the business to stay). If there is another soaper that you’re competing with for an account and they have insurance and you don’t (and they use that as a selling point), all things equal, who do you think is going to get the account? What should you look for when shopping for insurance? First of all, look at your salesperson. DO they understand what you are doing? Do they ask questions to best determine your needs? When they start to sound like a used-car salesperson and promise you the moon, it’s time to walk out the door. Insurance companies are some of the wealthiest companies in the word; you’re doing them a favor by letting them underwrite your policy. Don’t be intimidated. If you’re not comfortable with your insurance agent or what they’re telling you, at least get a second quote from a different insurance agency. You owe it to yourself, your company and your retailers. There are two kinds of insurance that you need. The first is property insurance. This covers damage to property, whether your equipment is stolen or burned in a fire. Most standard policies only cover your property when it’s on the premises so make sure you double check with your insurance agent about craft shows. This does vary by company but most companies do have an extension that they can tack on if you are going to a craft show (if it’s not covered in your normal policy). The second is liability insurance. This provides coverage against lawsuits. Remember some Americans believe that lawsuits are akin to winning the lottery and will sue for anything, so liability insurance is very important. It will protect your assets (up to a certain amount which varies with every policy – in general, standard policies include $250,000 pay out in a judgement). Liability insurance also pays lawyers fees (which can run up even if you win the court case). In general, an insurance policy will have a cap of how many times a year they will pay out a settlement (usually 2 times) so check with your insurance agent on that. There are many variations (including if the lawsuits are stemming from one batch or from many batches) so be sure and talk about liability insurance with your agent. If it’s not clear to you, ask again! You’re paying them so don’t be afraid to ask questions. In insurance, cheaper is not always better. It often means you are paying for less coverage or that there are strings attached to your policy. For example, a favorite insurance company, RLI Corporation, offers in-home business insurance. Their policy is a good basic policy and is the most cost-effective policy for the small crafter on the market today. However, there are restrictions attached. You must work out of your home; the minute you start manufacturing in a new space, they will not cover you. If you sell candles or private label candles, they will not cover you. So, if you are planning on moving out of your house or sell any sort of candle product, you need a different insurance company. Research the various policies and quotes; don’t just settle for what you’ve heard is best or the cheapest policy. Here are some basic questions to ask your insurance agent before buying a policy. (1) Do I have enough property insurance to cover all my equipment and supplies. Be sure to update your policy quarterly or after big purchases. If you have $5,000 more inventory at Christmas, up your insurance coverage. In general, flood and earthquake are not covered under property insurance and cost extra. If you live on a fault line, you’ll probably want an earthquake rider if you have a lot of property to lose. (2) What is my deductible? If you’re only insuring $10,000 in property, then having a deductible of $2,000 is silly. A deductible is the amount you have to pay out of your own pocket before the insurance company will pay anything. For example, my insurance policy has a $250 deductible. 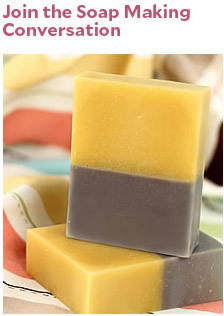 I had $70 worth of soap stolen at a craft show last year. I had to take a loss on that $70 because it didn’t meet my deductible. If I had lost $500 worth of soap (retail value), then the insurance company would have paid me $250 but I would still have been responsible for the initial $250 deductible. (3) Does my policy include theft? Not all policies include theft, so be sure to ask. (4) Do I have a co-insurance clause? A co-insurance clause specifies a percentage of total value that must be insured and provides a penalty for under-insurance. This is a bit complex, but here is an example. You own a $1000 shed and your co-insurance clause requires you to insure 80% of the shed’s value ($800) and for some reason, you only insure 75% of the shed’s value ($750), and then the shed partially burns. There is $600 in damages to the shed. The insurance company will not pay the full $600 in damages (though it would have, had you insured the shed for $800). You only insured 93.7% ($750 ¸ $800) of the amount they required you to insure. Thus, they will only pay 93.7% of the damage claim. So, you only get $562.50 ($600 x 93.7%) for your $600 claim. You may not want a co-insurance clause, it’s probably best to spend the extra few dollars for 100% coverage. (5) What kind of loss of business income do I have? Some policies provide for 100% of the income you were making previous to your business loss, others only provide for 50%. (6) What’s my product Limit? What’s my aggregate limit? Your products limit provides protection if something you have made, repaired or installed causes damage to property of others or injury to people. Your actual product would not be insured but the resultant damage would be. Your aggregate limit total limit of coverage under all policies or coverage. If you insurance company has a product limit of $1 million dollars per product that means that it will pay out up to $1 million dollars for a lawsuit stemming from your product. If the aggregate limit of your policy is $2 million dollars per year, and 3 people sue you and all win $1 million per judgement, the 3rd judgement will not be covered by the insurance company and you will have to pay that claim out of pocket. The most important thing when choosing an insurance policy is to talk and talk and talk. You cannot explain enough about your products. If you’re selling products targeted at babies, your insurance agent needs to know that. If you make medical claims, your insurance agent needs to know about those claims. When you add a new product, it’s a good idea to let your insurance agent know. 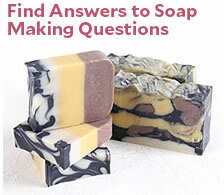 ANSWER from Teach Soap: You ask a very difficult question. Essentially, it sounds like you do under $10,000 in business per year so from your perspective, it is difficult to justify a $400 investment in insurance. It is entirely your choice whether to have insurance or not. Though I am not a lawyer, I can tell you from experience in setting up my own corporation that being an LLC does not entirely protect your personal assets. The so-called corporate veil can be pierced for any number of reasons in court. In my personal opinion, it is not ever a good idea to open yourself up to any sort of potential liability in today’s litigious society. You can’t go wrong with too much insurance, but you can be ruined because you didn’t have any.